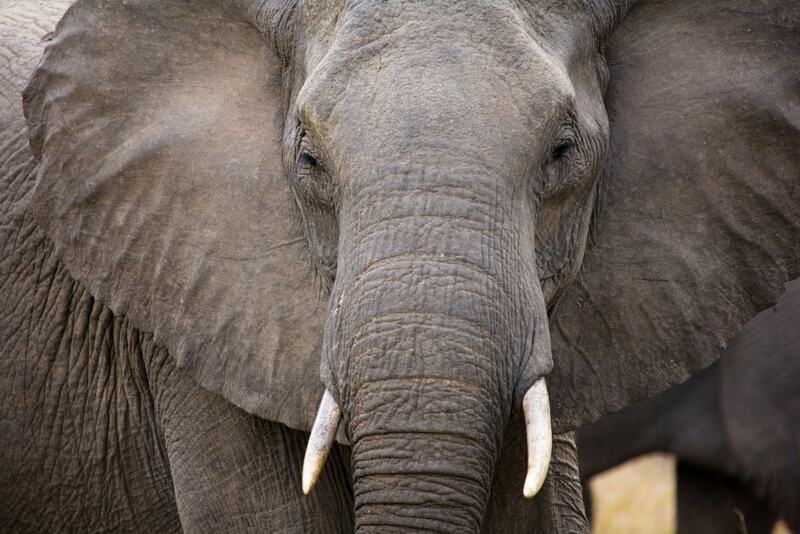 Why Are Most Elephants Protected From Cancer? Cancer happens when a cell picks up a mutation that causes it grow and divide out of control. Statistically, you would think then that larger-bodied organisms would have more cells and therefore more opportunities for mutation—increasing the risk of cancer. But for some bigger animals, this idea doesn’t hold true. This conundrum was first observed by epidemiologist Richard Peto and has become known as Peto’s Paradox. The elephant is one animal that falls under this paradox and has a lower cancer risk despite its large size. Scientists investigated the elephant genome to try to understand why this might happen—and identified a “zombie” gene, which is dormant in most mammals, but in elephants identifies and kills cells with damaged DNA. Their results were published this week in the journal Cell Reports. Geneticist Juan Manuel Vazquez, an author on that study, discusses how elephants evolved an anti-cancer gene and what this might mean for treatments for cancer. Juan Manuel Vazquez is a Ph.D candidate in Human Genetics at the University of Chicago in Chicago, Illinois. IRA FLATOW: You know that saying that goes, “elephants never forget?” Well, I don’t know if that’s fact, right? We don’t know if that’s ever been really proven. But it has been shown that elephants do not get cancer, or at least, their risk for cancer is much lower than it should be for such a big animal. This is something called Peto’s paradox put forth by the epidemiologist Richard Peto in the late ’70s. The thought goes that larger animals have more cells. The more cells, the higher probability that one of those cells will turn cancerous. But this doesn’t seem to hold up in nature, including elephants. Why is this? Scientists were curious about this question, so they looked to the genome of the elephants. And their results were published this week in the journal Cell Reports. My next guest is one of the authors. Juan Manuel Vasquez is a PhD candidate in human genetics at the University of Chicago. Welcome to Science Friday. JUAN VASQUEZ: Hi, welcome. Thank you very much for having me here. IRA FLATOW: Talk about Peto’s paradox. Is it the idea of bigger animals should be more prone to cancer? JUAN VASQUEZ: Yeah, so if you think about it, cancer in a multi-cellular organism– it’s just any cell in your body kind of going crazy, and suddenly dividing by crazy, forming a tumor. And so when you think about what exactly should lead to this– well, we all have cells, but the bigger ones among us, like people who are taller, have more cells than those who are shorter. And so you’d think that if any cell goes crazy, and that causes cancer, then just having more cells should increase your odds. And what we actually do see in humans is that it’s true. Taller people do have a higher risk of cancer. And large dogs also have a high risk of cancer than small dogs do. And the other thing that we see a lot is time is very important. So cells accumulate damage over time and then you become cancerous when you get that right set of mutations. So the longer you live, that should also play a very large role into whether or not you get cancer over your lifetime. And what we’ve seen is that as people have gotten older and older, we actually have seen an increase in the rates of cancer in older populations. And we also see this in other species, as well. So the idea goes, if you have an animal, regardless of the species, that is large and long lives, like elephants and whales, you should see that these animals have a higher risk of cancer than a smaller animal. And what we actually do see, is that there is no correlation across a wide evolutionary tree of life between these things. IRA FLATOW: So you took it on yourself to find out why. JUAN VASQUEZ: Yeah. Well, that’s the whole– our goal was to find out the exact mechanisms by which this happens. Yeah. IRA FLATOW: And you think you found an answer? JUAN VASQUEZ: We found a piece of the puzzle for sure. IRA FLATOW: Now, tell us about that. JUAN VASQUEZ: So there’s this protein called leukemia inhibitory factor, which is called LIF for short. And all mammals have a copy of LIF. It’s very important in terms of the developmental pathways that makes us go from just a couple of cells to a human or a dog or whatever animal you want. And what we found was that in the process of just looking for duplicates of tumor suppressors, of which this gene is one of them, we found that elephants, and their most closely related animals, like relatives, which are the manatee and the hyrax, they all have a lot of copies of this. But when we looked further, only elephants had a functional copy and even an additional functional copy to the normal one. And the weirder part was that this functional copy was actually more closely related to some of the copies present in manatees and hyraxes than the actual mother copy of the gene in the elephants, which means that actually this gene, this new copy used to be off and it used to be dead, just part of what we would consider the junk DNA of the genome. But elephants were able to, in the process of when they evolved to become the elephants that you and I know nowadays, they were able to evolve a new binding site for a very important protein in the elephant’s body called P53, which regulates DNA damaged cell response and other kinds of just generally getting a feel of how the cell is doing. And so what this does is– they now have this copy of a gene, which normally induces cell death. And if that were active in any kind of cell, that would be bad, right. You don’t really want your cells dying all over the place. IRA FLATOW: Hate it when that happens. JUAN VASQUEZ: Yeah, no, it’s the worst. But if you have this now regulated by something that’s only present at high levels in a cell when you’re under high risk of cell damage, and which could lead to cancer, what you have is now a perfect way of coping with your increased cancer risk by actually dealing with cells before they become cancerous in the first place. IRA FLATOW: Wow. This is Science Friday from WNYC Studios. So the elephants have a lot more of this stuff in them that would prevent the cancer from forming than we do. JUAN VASQUEZ: Yes, that’s correct. So it’s also more correct to say that they have a very specialized variant. So it’s kind of like if you had a Switch Army knife– like if we all have a Swiss Army blade. And a Swiss Army blade has a lot of functions, but then the elephants, in addition to that, actually have a good wrench to actually go in and to works. IRA FLATOW: Yeah. So why don’t we– you know, we folks, we people, and other animals, have more copies of this thing, if it’s so good? JUAN VASQUEZ: Yeah, so like I said, one thing is to have a mechanism that actually kills a cell on demand when you need it. Another thing is just to have a wild gun loose in your body. So because this is a developmental gene, generally when we think about this gene, we don’t really think about it as killing cells because that would be really bad if you’re only a couple of cells as an embryo. But when you’re talking about the elephants, this was originally dead, so it wasn’t actually expressed at all. So then it’s just kind of floating around a genome, and it’s not harming anyone. In terms of when we think about what does it mean to actually evolve like something new, there’s a bit of luck involved in addition to just being at the right place, at the right time. So elephants when they increased in size from the common ancestor of manatees, they really had an increased– we believed they would have an increased risk of cancer. And that wouldn’t be good for the organism. So somewhere along the line, this proto-elephant develops this mutation which allows it to express this protein [? rating ?] at the time. IRA FLATOW: Well, I understand it was, but why haven’t we developed that mutation to do that? Just unlucky? JUAN VASQUEZ: Yeah, so it’s just this kind of random thing that the elephants happened to already have a copy. And we don’t have any extra copies of this protein. IRA FLATOW: Can we get a copy? Or six? JUAN VASQUEZ: Yeah, so unfortunately, human genetic engineering– we’re still a ways off from doing that in a stable fashion. Maybe give us a couple more million years and we will evolve something similar to this. But in the short term, we can use what we’ve learned from these findings in elephants to actually make drug analogs that can treat cancer in these similar ways. IRA FLATOW: You sound very excited about this. How did you get involved in this? JUAN VASQUEZ: So I’ve always been very passionate about cancer research, actually. So unfortunately, when I was very young, when I was about four or five, my grandma died of full body cancer. And I had many other people in my family actually pass away from cancer. And so I’ve always had a vendetta, you know? And so at the same time, I’ve always been very passionate about research, about various kinds of cutting edge technologies. And when I was in the University of Rochester doing my undergrad, I happen to be in the right place at the right time, because there was the lab that was working on the naked mole rats and their cancer resistance. And that was about the time that we discovered about the mechanism by which the naked mole rats developed cancer resistance. And I just knew that I had found my calling. And I went into the research. And I’ve been very lucky to be involved ever since. IRA FLATOW: So where do you think your next step in this research is? JUAN VASQUEZ: So, so far we have a couple of examples in the elephants of tumor suppressors which have been duplicated in order to deal with their increased cancer risk. And you know, elephants are one animal but there is also the bowhead whale, which lives 211 years and weighs several tons, which is another big animal that you would think would have a lot of cancer, but doesn’t. So we have this general idea of maybe this tumor suppressor duplication mechanism should be a bonafide way to actually reduce your risk of cancer. And so what I’ve been doing is I wrote a script to actually try to find all the different instances of tumor suppressors in these animals. And we’re just going through them. If we found two, there must be more. So we’re just looking for all of them, instead of just picking a handful and seeing what they do. JUAN VASQUEZ: Thank you very much. IRA FLATOW: Wishing you good luck. And keep up your enthusiasm. IRA FLATOW: Juan Manuel Vasquez is a PhD candidate in human genetics, University of Chicago. Good luck on getting that PhD. JUAN VASQUEZ: Thank you so much. A Genetic Future For A Near-Extinct Rhino? How the northern white rhino could make a comeback—with a little help from its southern white rhino friends. The U.K.’s lawn-killing summer has an archaeological upside.